San Mateo Lumber is a one-stop shop for quality lumber, building materials, fence and gate materials and more. We are a full-service lumber yard with exceptional customer service. Our team of highly skilled professionals can help you with all your hardware and lumber needs. We have been a trusted supplier to the local contractors, remodelers and do-it-yourselfers since 1904. We will help you select the right products so that you can complete your project efficiently and on time. Call us at (650) 389-9170 to schedule a visit to our lumber store. 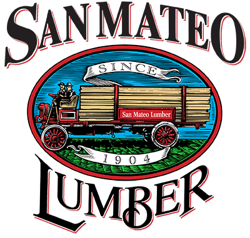 Why Choose San Mateo Lumber? Call Now for Quality Lumber Delivery! Copyright © 2018 sanmateolumber.net All rights reserved.